A Hot Tub Spa is a small pool or bath (sometimes called a 'Jaccuzi'), that typically has whirlpool air jets and is designed to operate at high temperatures (about 100 degrees Fahrenheit). A Hot Tub Spa can be either outdoors or indoors. If your Hot Tub Spa uses natural gas or propane to heat the water, then you should also put a checkmark for 'Pool Heater (gas)' to include this a part of your home features in your Home Wizard app. 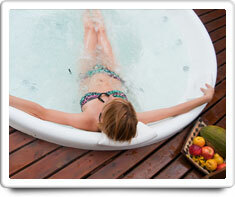 Shown in the 'Routine Care' section are the recommended routine maintenance tasks for your hot tub spa. The 'Q & A' section shows answers to common questions. And the 'Articles' section provides helpful articles about your hot tub spa.